systems with results that guarantee successful projects. On time, on budget and according to specifications. We operate through a combination of development services performed at our headquarters or directly from our customer’s facilities. We support organizations in making the most of the potential available with GeneXus technolog. the experience acquired in a variety of projects. most important models on best practices. Through our more than twenty years developing mission critical projects for large-scale organizations in a variety of sectors, we have been able to achieve tangible results capable of enhancing business results by increasing their potential. Our team of professionals specialized in technology, methodology, disciplines associated with business knowledge and software development, have the know-how required to define solutions capable of transforming any business. We have over two decades of experience with projects in different business areas which has enabled our knowledge of best practices in a variety of fields such as government, industry, finance, fruit production, and health care, among others. We continue to move along GeneXus’ technological evolution with constant research and development that allow the application of the latest technology available to businesses, aimed at generating renewed opportunities. 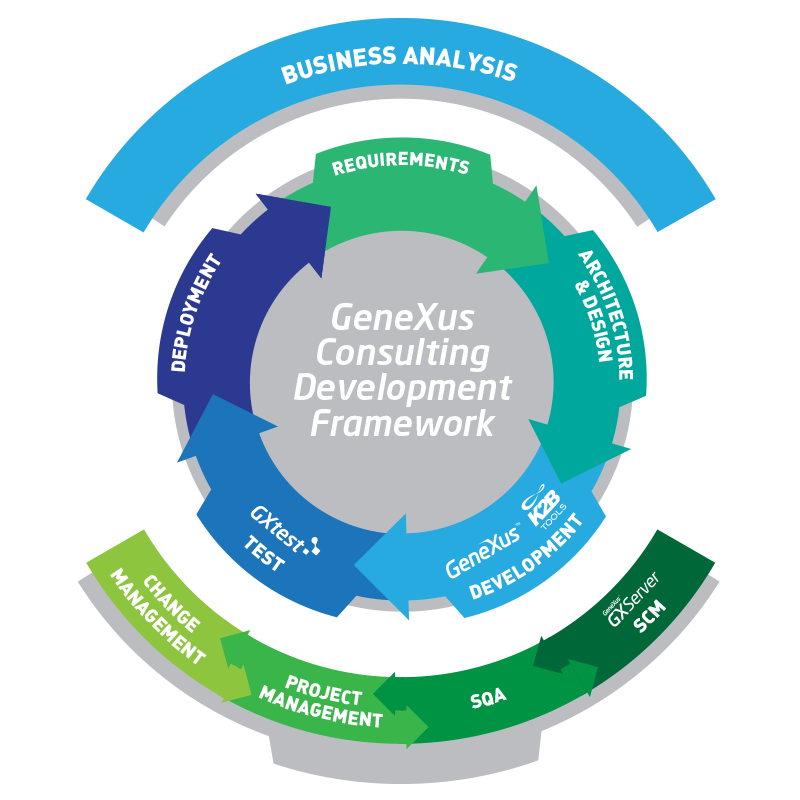 We are leaders in the development of working methods with GeneXus technology. We have devised a unique working method, focused on attaining innovative solutions with highly productive results for our clients.